The New South Wales government logging agency, euphemistically named ‘Forests NSW’, has ongoing plans to log old growth native forests through the South East Corner bioregion of NSW. These forests provide rare and important habitat for Australian fauna, some of which in this region are now critically threatened with extinction due to the logging, burning and deforesting activities of Forests NSW, the National Parks Service under its parent which changes its name every frew years, and the NSW Rural Fire Service. Australia’s SE Corner (SEC) Bioregion encompasses the shires of Eurobodalla, Bega Valley, Bombala and parts of Cooma-Monaro and Snowy River. 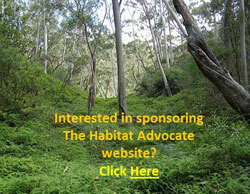 The South East Corner forests include the Tilba, Bermagui, Murrah, Mumbulla, Tanja and Wapengo State Forests . It also includes a number of national parks including the Biamanga National Park. Not surprisingly, many Australians, and particularly locals in this bioregion, value these forests being protected and are opposed to the habitat destruction being wrought to the old growth forests. Key active environmental organisations seeking to protect these forests include the Friends for Five Forests and the South East Region Conservation Alliance Inc. (SERCA). SERCA is an umbrella organisation for conservation, environment and for citizens’ groups who want to conserve and protect the natural environment of South East NSW, Australia. SERCA’s member organisations include Bega Environment Network | Chipstop | The Coastwatchers Association Inc | Colong Foundation for Wilderness | Friends of Durras | National Parks Association – Far South Coast | Natural Native Forests | SE Forest Rescue | Yurangalo Inc.
SERCA formed in September 2005 to ’maximise efforts and resources’ of these organisations to combat the continued NSW Government-sanctioned woodchipping of native forests, to participate in formal environmental planning by the NSW Government in the regionprocesses and importantly to protect these forest habitats from damaging development and land and forest management practices. Below is a series of reports on the events affecting these forests from these various organisations and from media reports up until March 2010. ‘Forests NSW have moved into Compartments 2133 and 2135 in Mumbulla State Forest. ‘After a local resident photographed koala prints on Lizard road, near Cpt 2163 next on the logging list, the DECCW have apparently decided to undertake surveys before their burning operation on the other side of the road. Tanja State Forest – local residents meeting with State Forest reps.
‘Working collaboratively the NPWS, Forests NSW and the Rural Fire Service [RFS] have decided to burn close to seven hundred hectares of Biamanga National Park. Loggers are set to destroy one of Australia’s last remaining koala habitats. ‘The NSW Government has started sending contractors into the forests in South Eastern NSW. Negotiations between the NSW Department of Environment and the state government agency responsible for logging, Forests NSW, appear to have failed to reach a compromise. ‘The irony is that the NSW Government last year ordered a survey to try and find koalas in the coastal forests that are now about to be logged. The survey, which was conducted across all land tenures, found a small, active population of about 30 koalas and is continuing. ‘It seems the NSW Government has now decided its contractual obligations to supply saw logs locally and woodchips to Asia are more important then protecting this much loved native animal, which is immortalized in Australian culture. ‘The disease, Chlamydia, plus loss of habitat have contributed to a dramatic decline in koala numbers over recent decades, with the species now close to being declared endangered. “Soon it will be too late to save the species.” Says Debora Numbers of koalas in Australia may be as low as 45,000 recent surveys by the Australian Koala Foundation show. ‘The koala population in South Eastern NSW was once healthy but in the last 100 years has been decimated by hunters interested in koala pelts and by logging. ‘Forests NSW have not publically given a date for the start of logging in the Mumbulla State Forest, no doubt expecting direct action from conservationists who forced loggers out of an area close by three years ago. ‘The issue will put heat on the new premier of the state of NSW, American-born Kristina Keneally, who was installed by the right-wing faction of the party recently. ‘And Commonwealth Minister for the Environment Peter Garrett – a former rock star with internationally successful band Midnight Oil and environmentalist – has been asked to intervene. ‘Steve Phillips – arguably NSW most experienced and expert Koala scientist, said on ABC radio recently,” We have got the management prescriptions (for koalas) wrong, especially in the SE …. The small area of koala habitat remaining is such a precious resource …. They have just got to be protected so they can continue to expand ….. there is no longer any argument about what is important habitat”. ‘NSW Minister for forestry Ian MacDonald stated in Parliament in 2008 that despite recurrent financial losses, logging in native forests will continue, in order to support jobs. ‘Yet billions of dollars of taxpayer funds have been pumped into plantations as replacement timber and fiber for industry and export. NSW Forests rely heavily on the outdated Regional Forest Agreements that were signed off in the late 90s giving new areas in National Parks to the state but retaining forests for logging. Conservationists say the industry is outdated and only propped up by political will and union backing. ‘These agreements are excluded from the Environment Protection Act (EPBC) as well as climate change and water supplies. SOURCE: Friends for Five Forests, 20100124, http://www.fiveforests.net/ from Sydney Morning Herald. ‘Forests NSW have approved logging in 89% of the compartment as opposed to the maximum of 60% allowed for in their legal approvals. Desperate to maintain timber supplies this logging confirms the statement from Forests NSW manager Mr Martin Linehan that “We can do what we want when we want“. ‘Logging began in Compartment 2002 of Bermagui State Forest on Thursday September 10. The logging plans (download from resources page) for the compartment are not an accurate or honest representation of soil, flora, water or roads in the compartment. Details of concerns about the operations, also available on the resources page, have been passed onto the NSW police and NCS International. “These additional forests include areas that the Forestry Commission failed to declare during the Eden assessment and vast tracts of forests on the tablelands, that have similarly not been assessed. It is apparent that these Crown forests are being logged with the assistance of significant public subsidies and at a rate that greatly exceeds the requirements of the RFA. ‘In late May 2005 the NSW Forestry Commission breached the conditions of the Regional Forest Agreements and their Threatened Species licence when they started to log critical Koala habitat in Cuttagee catchment part of Murrah State Forest. ‘There were once, 100 years ago, hundreds of thousands of koalas in the Bega Valley. They were so numerous that you could even see them in the trees along Bega’s main street! Hunting for the fur trade, habitat loss through extensive clearing, and fire have all decimated that once vast population. ‘Surprisingly, given this population’s small size, DNA analysis by Sydney University has shown that Mumbulla koalas are genetically strong, and thus potentially able to increase their numbers without some of the inbreeding problems that have affected other disjunct koala populations. We can develop substantial opportunities for research-based tourism and thus grow the local economy in a sustainable manner.